US Navy withholds from conducting combined naval war games Sea Breeze-2009 with Ukraine, informs UNIAN Ukrainian news agency. 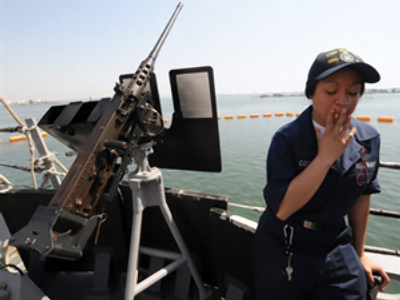 A source in Ukraine’s Navy High Command informed agency that on June 17, 2009 US Navy officially notified Ukrainian side that this year’s pre-planned Sea Breeze-2009 maneuvers are cancelled. The main purpose of these maneuvers has been announced counter-piracy drills. Even earlier, on June 12, Ukrainian parliament refused to put on vote a law to grant entrance of foreign military on Ukrainian territory to participate in Sea Breeze-2009 maneuvers. Ukrainian lawmaker and ex-Minister of Defence Anatoly Gritsenko has announced in the beginning of June that he has information that maneuvers are “partly sabotaged” and that complete cancellation of drills will “inflict disastrous consequences on the international image of Ukraine”. 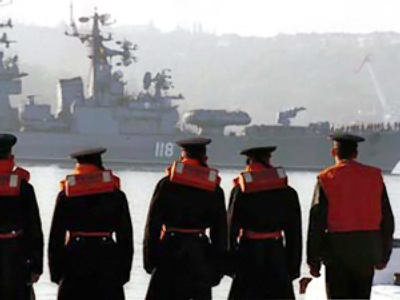 International Sea Breeze maneuvers have been conducted in Ukraine since 1997 with different participants of the NATO member countries. Every year population of Crimea peninsula holds mass protest against the event, principally in the city of Sevastopol, the major naval base for both Ukrainian and Russian Black Sea fleets.